Fabian Manning has dedicated his career to serving Newfoundlanders and Labradorians at all three levels of government. A three term councilor in the town of St. Brides, Mr. Manning served as coordinator for the Cape Shore Area Development Association for three years. Mr. Manning would go on to win three elections to the Newfoundland and Labrador House of Assembly as the representative for Placentia – St. Mary’s. Mr. Manning was subsequently elected as Member of Parliament in the federal constituency of Avalon in the 2006 Federal Election campaign. Mr. Manning would go on to chair both the Standing Committee on Fisheries and Oceans as well as the Conservative Government’s Atlantic caucus. Fred Dickson, QC is both one of Nova Scotia’s most respected lawyers and one of Canada’s top legal experts on offshore resource development. Mr. Dickson is counsel with the law firm of McInnes Cooper. Mr. Dickson has advised the federal and provincial government’s on numerous resource and infrastructure projects, including serving as an advisor to the Government of Nova Scotia during the singing of the 1982 and 1985 Canada / Nova Scotia Offshore Oil and Gas Agreements. Mr. Dickson remains active in these files as a Director of the Offshore / Onshore Technologies Association of Nova Scotia and Canadian Council for Public-Private Partnerships. Stephen Greene has political and policy experience at both the federal and provincial levels. Mr. Greene served as Chief of Staff in the Leader’s Office of the Reform Party of Canada from 1993 and 1996 during which he helped manage the opposition response to the national unity and fiscal issues of the day. He went on to work as the Executive Director of the Insurance Brokers Association of Nova Scotia. For the past two years he has served as Principal Secretary and Deputy Chief of Staff to Nova Scotia Premier Rodney MacDonald with wide responsibilities to help the Premier administer an effective government for all Nova Scotians. Michael L. MacDonald is a Nova Scotia businessman who since 1988 has been the owner and President of Fleur de Lis Motel Ltd. Mr. MacDonald had previously served terms as executive assistant to two federal cabinet ministers and the premier of Nova Scotia. A graduate of the University of King’s College and Dalhousie University, Mr. MacDonald has been an activist and volunteer with the federal and provincial Conservative parties since university, and is presently Vice-President of the Conservative Party of Canada and a two-term representative for Nova Scotia on the party’s national executive. A native of Louisbourg, Mr. MacDonald is a long-time resident of Dartmouth where he resides with his wife and two teenaged sons. Michael Duffy is one of Canada’s most well known and respected news personalities and the current host of CTV’s daily program, Mike Duffy Live. Mr. Duffy joined CBC Radio News in 1974, switched to CBC TV’s “The National” in 1978, and joined CTV in 1988. He is a member of the Canadian Association of Broadcasters Hall of Fame. Mr. Duffy is involved in a number of charitable activities both in Ottawa and in his home province, including the UPEI Building fund, and the current Holland College Foundation Fundraising campaign. He has been a visiting fellow at Duke University; and has been twice nominated for the “Best in the Business” award by the Washington Journalism Review. Mr. Duffy has received many other awards and citations, and honourary degrees from the University of PEI; from Niagara University in Niagara Falls, NY; and from Wilfrid Laurier University in Brantford. Percy Mockler has been a long-time MLA in the New Brunswick legislature since he was first elected in 1982. During his time in the provincial legislature, Mr. Mockler served in a number of portfolio’s including Minister of Wellness, Culture and Sport, Solicitor General and Minister of Human Resources Development and Housing. Mr. Mockler is a former advisory member for trade opportunities strategy with the federal Department of External Affairs. He has also been active in community affairs as treasurer of local fish and wildlife associations, a director of the caisse populaire, and as a member and chair of his local school board. John D. Wallace was born in Rothesay, NB and had a distinguished law career in St. John. Most recently, he served for 7 years as Partner/Counsel at the law firm of Stewart McKelvey. Previously he had been Corporate Counsel for Irving Oil Limited and a Partner at Palmer, O’Connell, Leger, Turnbull and Turnbull. Mr. Wallace continued his community service after retiring from law. He is a Member of the University of New Brunswick Board of Governors, the St. John Imperial Theatre Capital Campaign Cabinet and the New Brunswick Symphony Steering Committee. Mr. Wallace was the Telegraph-Journal Male Newsmaker of the Year in 2002 and became a recipient of the Queen’s Golden Jubilee Medal in 2003. Patrick Brazeau is a member of the Algonquin Nation and a citizen of the Indian reserve of Kitigan Zibi, near Maniwaki, Quebec. A champion of the rights of Aboriginals, in 2006, he was chosen as the National Chief of the Congress of Aboriginal Peoples. He used this forum to promote the economic and social development of Aboriginals, especially those who live off-reserve. Mr. Brazeau has a black belt in karate and was a member of the Naval Reserve on HMCS Carleton, in Ottawa. Suzanne Fortin-Duplessis was born in Chicoutimi and studied at the École des Beaux-arts de Québec and at Laval University, where she obtained a bachelor’s degree in visual arts and a certificate in college education. She was a teacher at the regional school board Louis-Fréchette. In 1981, she became the first woman to be elected to the Municipal Council of the City of Sainte-Foy. She became active in federal politics and was elected as the MP for the riding of Louis-Hébert from 1984 to 1993. Ms. Fortin-Duplessis has always been involved in the community. During her career, she was a member of the board of the Alzheimer Society and the Fondation de l’Opéra de Québec, and she is a member of the Laval hospital and the Saint-Sacrement hospital foundations. More recently, she was a volunteer for the International Eucharistic Congress. Leo Housakos was born in Montreal and studied at Cégep Vanier and at McGill University, where he obtained a bachelor’s degree in arts, with a major in political science and history. In 1993, he co-founded the Montreal Hellenic Chamber of Commerce and is currently a Director of Via Rail Canada.Throughout his business career he has held important management positions in several companies, including Quadvision Consultants and Terrau. Mr. Housakos is married and is the father of two children. Michel Rivard studied in Quebec City and spent the most part of his professional life in public administration. He was President of the Corporation des maîtres entrepreneurs en réfrigération du Québec, then Mayor of Beauport from 1980 to 1984. Mr. Rivard was director of a number of organizations, and was President of the Executive Committee of the Communauté Urbaine de Québec. In 1994, he was elected at the Assemblée nationale as the MNA for Limoilou. He was Regional Delegate for the region of Quebec and parliamentary Assistant of the Minister responsible for the region of Quebec. Nicole Eaton has devoted much of her life to serving her community in varying degrees through her participation and leadership in a number of charitable organizations, foundations and the arts. Presently she is Director and Vice-Chair of St. Michael’s Hospital Foundation, Director and Vice-Chair the National Ballet of Canada and Chair of the Pontifical Institute of Mediaeval Studies. Previously, Ms Eaton has served in varying capacities on a number of other organizations, including the Royal Ontario Museum, the George R. Gardiner Museum, the Royal Agricultural Winter Fair and the Stratford Festival of Canada. Ms Eaton is also a columnist for the newspaper the National Post and is co-author of two publications. Irving Gerstein, C.M., O. Ont is a businessman and corporate director. A Member of both the Order of Canada the Order of Ontario, Mr. Gerstein has been involved in politics for over 40 years, including service as Chair of the Conservative Fund Canada. He is an Honorary Director of Mount Sinai Hospital (Toronto), having previously served as Chairman of the Board, Chairman Emeritus, and a director over a period of twenty-five years. He is a director of the Canadian Institute for Advanced Research and a former Chairman of the Young Presidents Organization. Mr. Gerstein graduated from the Wharton School of Finance and Commerce, University of Pennsylvania, and attended The London School of Economics. Pamela Wallin, O.C., S.O.M is an award winning journalist whose career stretches back more than three decades. Ms. Wallin is most recognized from her time at CTV where she co-hosted Canada AM and later served as CTV’s Ottawa Bureau chief. Ms. Wallin would subsequently form her own production company Pamela Wallin Productions Inc. Ms. Wallin has remained active in public life as Chancellor of the University of Guelph and Senior Advisor on Canada-US relations to the President of the Americas Society and the Council of the Americas. In 2007, Prime Minister Harper appointed Ms. Wallin to the Independent Panel on Canada’s Future Role in Afghanistan. Ms. Wallin has agreed to step down as Senator and submit her name as a candidate when Saskatchewan holds its first legislated Senate election. Nancy Greene Raine, O.C., OBC was Canada’s female athlete of the last century by the Canadian Press and Broadcast News. She won gold and silver medals in alpine skiing at the 1968 Grenoble Olympics and overall World Cup titles in 1967 and 1968. Her total of 14 World Cup victories (including the Olympics) is still a Canadian record. During her nine-year career Nancy won a total of 17 Canadian Championship titles. Since retiring from active competition, she has worked to promote the sport and was instrumental in the early development of the Whistler-Blackcomb Resort. Since 1994 she has been Director of Skiing at Sun Peaks Resort and since 2005 she has been Chancellor of Thompson Rivers University. Ms. Green Raine is an Officer of the Order of Canada, a member of both Canada’s Sports Hall of Fame and Canada’s Walk of Fame. Yonah Martin has deep roots in both Korean and Canadian heritage and has spent her life building bridges between different cultural communities in BC. Born in Seoul, South Korea, before immigrating to Canada 1972, Ms. Martin is the co-founder of the Corean Canadian Coactive (C3) society and has served on the Multicultural Advisory Council of BC, the Vancouver Korean Canadian Scholarship Foundation, the Kateslem After School Club and the Coquitlam Festival Planners Network. Ms. Martin has also been active in political life as a candidate in the constituency of New Westminster-Coquitlam. In 2004 Ms. Martin received ‘Spirit of Community’ award for her service in the Tri-Cities Area. Richard Neufeld has spent close to two decades in public service to the people of British Columbia. First elected to represent the riding of Peace River North in 1991, Mr. Neufeld has been re-elected on three separate occasions. Since 2001 Mr. Neufeld has served as British Columbia’s Minister of Energy Mines and Petroleum Resources. Mr. Neufeld has also served as the on the council of Fort Nelson, including five years as mayor. Prior to his involvement in public life, Mr. Neufeld owned and operated his own business. Hector Daniel Lang has made the Yukon his home for more than 50 years. Born in 1948 in Dawson Creek, BC, he moved with his family to Whitehorse where he completed high school, and later attended the University of Alaska at Fairbanks. First elected to the Yukon Legislative Assembly in 1974, Mr Lang served 5 consecutive terms, retiring from the legislature in 1992. Over the course of his 18 years in elected office he was responsible for numerous Ministerial portfolios and later served in the opposition. Since 1992, Mr. Lang has worked as a Sales Associate in the Yukon Real Estate industry. Active in community affairs, he is currently the Vice Chairman of the Board of Governors for Yukon College. He has four children and three grandchildren, who reside in Whitehorse. Mr Lang presently lives in Whitehorse with his partner Valerie Hodgson, a local artist. The appointment of Fabian Manning to the Senate from Newfoundland would send a signal to Premier Danny Williams that if he wants to deal with the federal government, he’ll do it through the man into whose fields he’s been plowing salt for the last few years. Newfoundlanders would respect and admire the cheekiness of that move. In PEI, Mike Duffy would be a good choice. Duffy’s been a veteran broadcaster and public figure for decades. He’s also the island’s favourite son and would be a good representative in the Red Chamber. In Nova Scotia, former Premier John Hamm is a stateman for Nova Scotia and is respected by all no matter their partisan stripe. Michael McDonald has been Harper’s point man in Nova Scotia for years serving on National Council and running twice federally and thrice provincially. He also serves as a liason between federal and provincial parties. Stewart McInnes is a fixture in Nova Scotia PC politics. A former Mulroney cabinet minister, McInnes resigned as fundrasier for the PC Party of Nova Scotia just hours ago . Does this mean he’s up for another job? New Brunswick has an obvious choice in Bernard Lord. The former PC Premier has been integrated on the strategic side of federal politics for some time. Lord was the national co-chair of the 2008 federal campaign and provides a bridge to the Charest side of the conservative family. Current director of CPC operations Doug Finley is a shoo-in for the Senate, in my opinion. Senator David Smith has run campaigns for the Liberals for some time from the Red Chamber so the appointment of Doug Finley would be seen as an acceptable move by the PM. Quebec presents a challenge to Stephen Harper as the PM has toiled spending the last few years building a fledgling organization in that province. There aren’t too many Conservatives there who have been around for a generation of the modern Conservative movement. Mario Dumont made his exit from Quebec politics this week and may find his return as a senator from Quebec. Dumont has been an ally of the Prime Minister and this would satiate the smaller ADQ elements in Harper’s Quebec machine. William Shatner is a conservative from Montreal and was the first Canadian in space (he did and did so boldly). 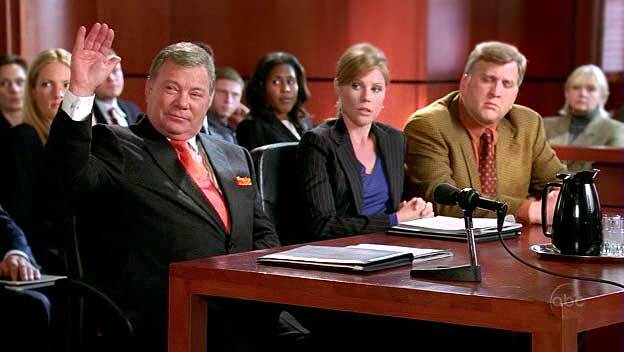 Shatner would be a nod to Quebec’s arts community and would be noteworthy because in itself! Women will be on the PM’s shortlist for the senate and Quebec author and standard-bearer for the conservative movement in Quebec Tasha Kheiriddin would be a good choice. In Ontario, senior Conservatives that I’ve spoken to would be surprised if Irving Gerstein was not named to the Senate. Gerstein is the head of the Conservative fund, the fundraising organization for the Conservative Party. Sandra Buckler’s name has also made the short list for Senate. As Stephen Harper’s director of communications, Buckler is and remains a loyalist who fought for the PM in the trenches and pushed the Conservative agenda against the rough grain of the MSM. I would be very happy to see Buckler return to the fold so that she can have the resources to fight even harder as a hard-nosed, no prisoners activist for Conservative cause. Saskatchewan presents an interesting challenge. The province has committed to hold an election for the Senate next year. Let them. If Harper holds off on appointing a senator and a coalition government swoops in and does this anyway, the damage to those parties in the province would be irreperable. If the Prime Minister does appoint a senator from Saskatchewan, my choice would be Elwin Hermanson, the founder of the Saskatchewan Party. In British Columbia there are a few people lobbying for a seat, among them is Gurmant Grewal (not gonna happen). Another person’s name I’ve heard passed about has been that of John Reynolds. Likely senators that the PM may appoint include Michael Walker (founder of the Fraser Institute), Lorne Mayencourt (party loyalist) and John Weissenberger (former ministerial chief of staff and founding member of the Reform Party). Weissenberger is the type who would resign immediately to elect a senator if given the chance. Longer shots are former MP Betty Hinton and Conservative national councillor Hamish Marshall. Yukon territory also has a senate seat free. I’d pick Leslie Neilson because he’s a prominant conservative Canadian from the Yukon and his brother Erik was deputy Prime Minister. Neilson is most famous for the Naked Gun movies and has campaigned for charity for the March of Dimes. I find it deeply unfortunate and immensely frustrating that the PM has been forced into this position of appointing senators. Ideally, as conservatives, we’d like to have them all elected. The appointment of Senators is a defensive measure by the PM as a coalition government would appoint senators uninterested in senate reform or worse, with separatist sympathies. I would want the PM to secure a pledge from any appointed senator that they would resign and/or stand for election at the earliest opportunity. The appointment of Senators should only be a temporary measure as provinces commit to holding elections. UPDATE: As some readers point out correctly, Shatner (77) and Neilson (82) are too old (in the constitutional sense) for the senate. The lower age limit is 30 and the upper limit is 75. Could Shatner launch a successful Charter challenge? Or could he slingshot himself around the sun and return to 1986? So we have a couple of spots open in Quebec and one in the Yukon. Who would you name to the Senate? These were Danny Williams words last week as reported by CTV.ca. Stephane Dion is in BC today trying to sell that province on the benefits of yet another carbon tax. The folks in BC aren’t buying as their own provincial carbon tax has been very unpopular. Dion’s tour lands its carbon belching jet in BC while gas prices are higher than they’ve been in recent memory. While gas prices have risen due in part to Hurricane Ike ravaging the Texan coastline, British Columbians aren’t likely to give Dion a hero’s welcome. So why is Danny Williams running an ABC (anyone but conservative campaign)? For Newfoundland and Labrador this would only amount to electing more Liberals. Oil producing economies such as Saskatchewan and Alberta have already slammed Dion’s plan. Why would Danny Williams want to hurt his own province’s economic future? Despite the obvious masochism in Danny’s begging for taxation that will affect jobs in his resource sector, Stephane Dion’s carbon tax will have real-world effects for everyday Newfoundlanders and Labradorians. The “Caribou” ferry uses 41,000 litres of fuel (partially diesel, partially bunker) to travel one way between NS and NL. By working to help the Liberals form government, Danny would be advocating a 7 cent per litre tax be applied directly to Marine Atlantic crossings. How would he reconcile that? This ferry service is a vital link for residents of that province to access the rest of Canada. Stephen Harper’s recent announcement cutting the excise tax on diesel goes directly against Dion’s plan for increased taxation. Since Newfoundlanders and Labradorians import most of their food, Dion’s carbon tax will be felt quickly as most food arrives by diesel-fueled trucks and ferry. The fishery is also an integral part of the economy in Newfoundland and Labrador. Fishers use diesel fuel and will also face a 7 cent per litre tax increase under Stephane Dion’s plan. How can Danny Williams say he is standing up for fishers when he supports Stephane Dion’s carbon tax? Danny has received a lot of political mileage when it comes to facing off against the federal government. He did so under previous Liberal administrations. However, while Newfoundlanders and Labradorians may appreciate Danny’s right-or-wrong hard-headed defense of their province, on support for Dion and, by extension, his carbon tax-centred political platform, Danny is wrong. Posted on September 13, 2008 Author Stephen TaylorCategories OtherTags 2008 General Election, anyone but conservative, carbon tax, danny williams, fishers, green shift, hurricane ike, labrador, newfoundlandLeave a comment on Oh Danny Boy!